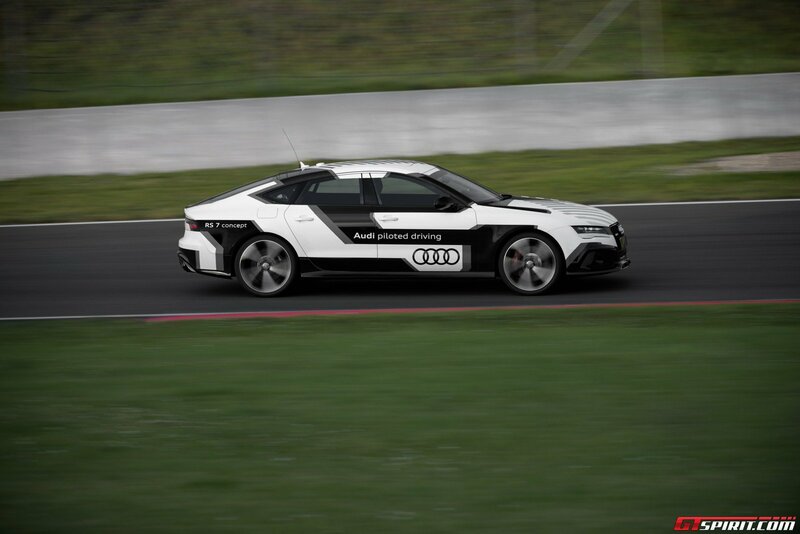 Today we are testing the autonomous Audi RS7 Piloted Driving Concept at the Oschersleben race track in Germany. 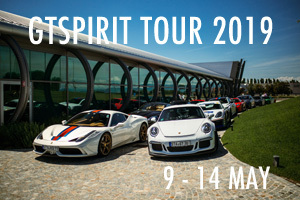 In eight years GTspirit this is probably the most outlandish review we have done. For multiple reasons, of course for where the technology stands today but even more so about where this will take mobility in the future. Lets begin at the beginning. Autonomous or automated cars as a concept are not new. 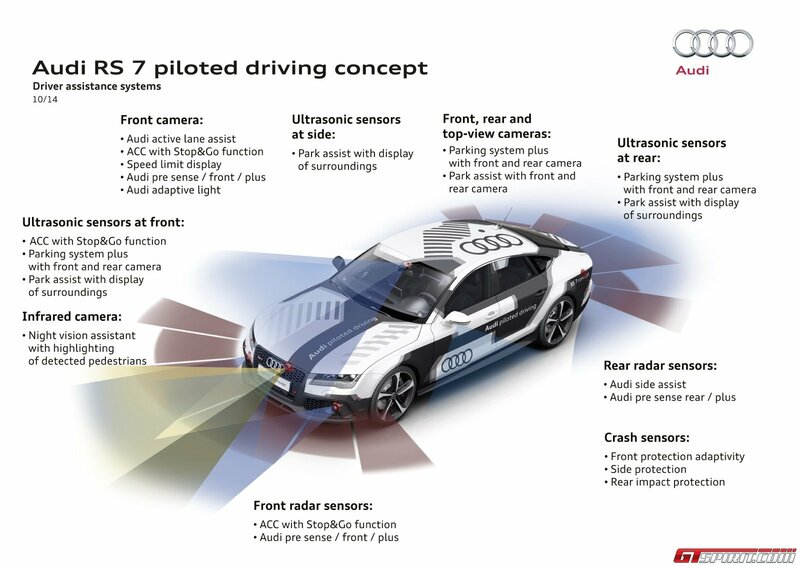 The first autonomous concepts date back to as early as the 1920s. But the idea really got major manufacturer’s interest in the late ’80s and during the ’90s. 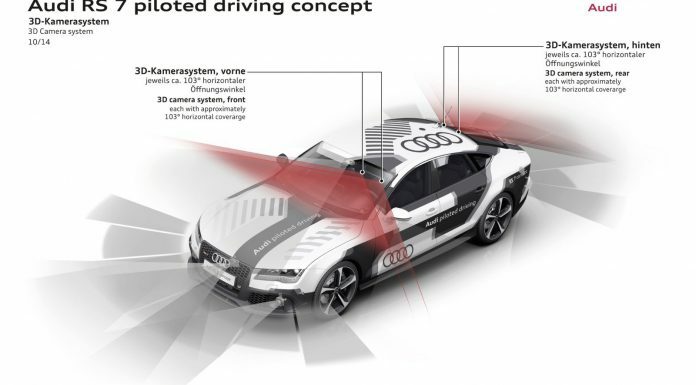 Whereas early concepts all foresaw a fixed infrastructure to aid the cars movements, the latest autonomous cars all depend on sensors and software that they carry on board without the need for any fixed infrastructure. Ernst Dickmanns, a professor at a university in Munich has been a true pioneer when it comes to the development of driverless cars. 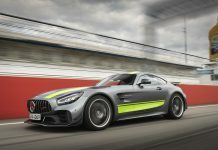 He used various Mercedes-Benz cars for his vison guided and autonomous concepts in the 80s and 90s. These concepts were already able to accelerate, brake and steer but still relied on human intervention to prevent accidents and to navigate. 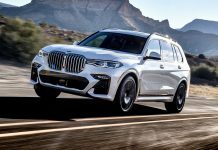 In the 2000s US government funding helped accelerate the developments and by the end of last decade nearly every major car manufacturer and various technology firms like Google had some kind of autonomous vehicle project in development. 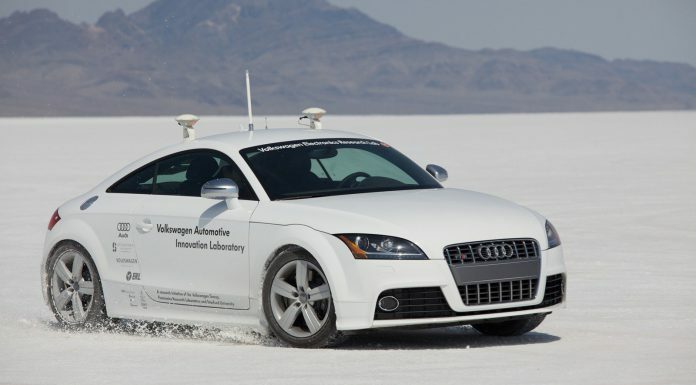 Audi showed its first autonomous car to the public eye in 2009 with the Audi TTS driverless concept. 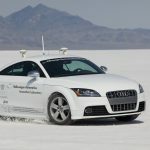 It set a new world speed record for self-driving cars on the Bonneville Salt Flats in the U.S. state of Utah, where it reached 210 km/h. 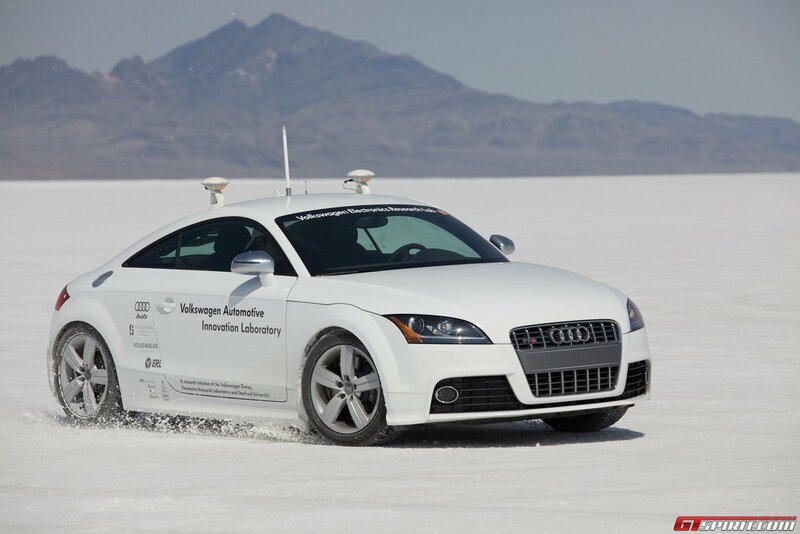 It also drove the pattern of Audi’s four-ring emblem, creating a near-perfect outline on the salt flats with its tyres. Audi gives all their concept cars names and this particular TTS was called Shelley. 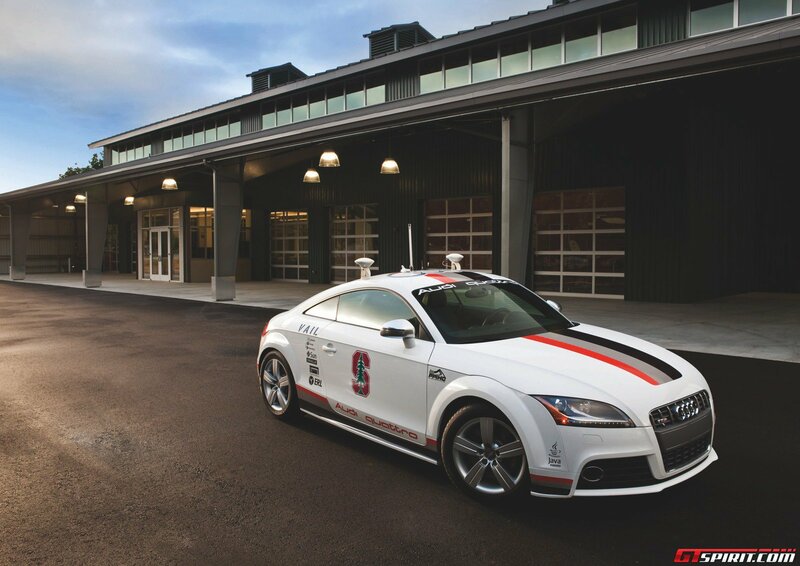 In 2010 Audi, in cooperation with Volkswagen and the Center for Automotive Research at California’s Stanford University, entered the next step and prepared the self-driving TTS Shelley for the biggest challenge yet: Racing up Pikes Peak. This annual hillclimb race to the top of the Pikes Peak in Colorado features 156 turns and measures 12.42 miles in length. Back in 2010 it still consisted of both paved and unpaved sections and it is known as one of the most challenging races in the world. The record time on the unpaved Pikes Peak was set by Nobuhiro Tajima in a Suzuki XL7 back in 2007. He did it in 10 minutes 01 seconds. Shelley did it in 27 minutes, not exactly a best time but more importantly the self-driving Audi TTS stayed within two centimeters of its predefined GPS route. 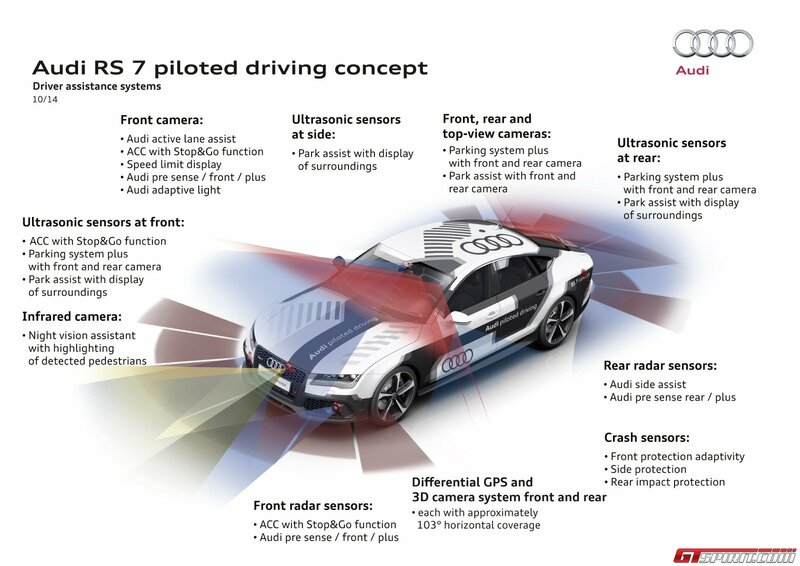 The Audi TTS already used a combination of existing systems with additional sensors and software to drive itself to the top of Pikes Peak, and with the arrival of more advanced system in most cars delivered to customers today this leaps closer and closer to an autonomous car available at dealerships around the world. 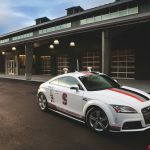 The self-driving Audi TTS milestone at Pikes Peak tasted like more for Audi and that brings us to today. 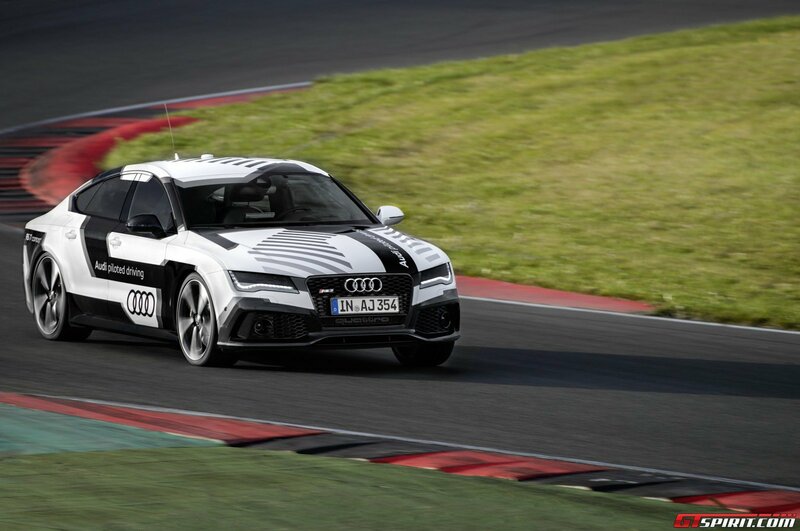 Today Audi presents the Audi RS7 Piloted Driving Concept at Oschersleben race track in Germany. 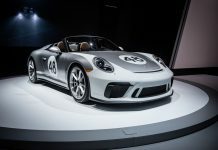 This is an exclusive preview before the car will celebrate its public debut at the Hockenheimring this upcoming weekend. 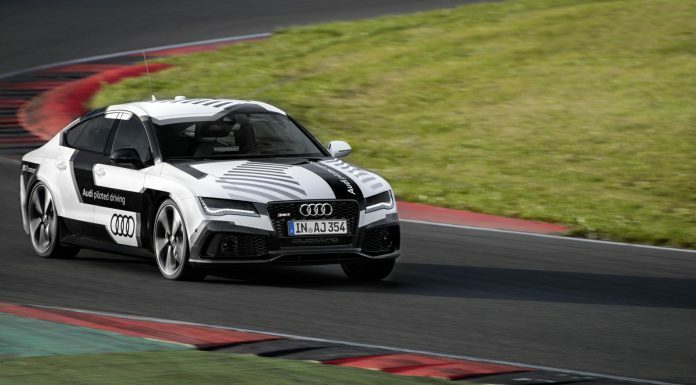 The ingredients are fairly similar to the Audi TTS, yet more advanced and relying more on systems that can be found in the RS7 at the dealerships today. Just in the front of the RS7 you will find a front camera, ultrasonic sensors, infrared camera and front radar sensors. These are used for systems like the adaptive cruise control, lane assist, parking assist, night vision and Audi pre sense safety. 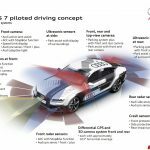 On the special Audi RS7 Piloted Driving Concept the engineers mounted two extra 3D cameras in the front, two extra 3D cameras in the rear and a special GPS module on the roof. 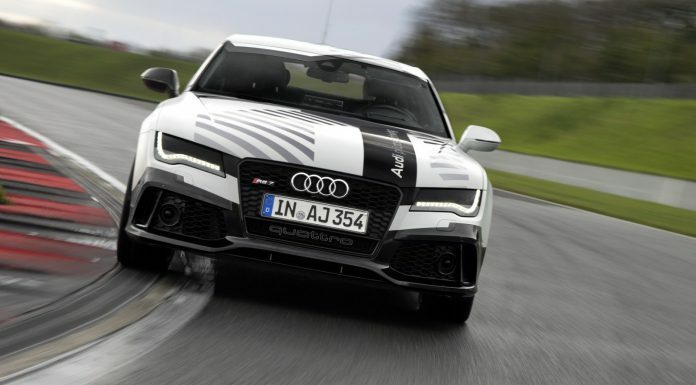 Add a rack of hardware in the back and link it up to special software and the Audi RS7 is pretty much good to go as an autonomous race car. 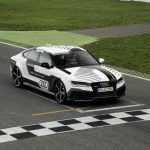 Before we get in the passenger seat of the Audi RS7 Piloted Driving Concept we have the opportunity to take a regular RS7 out on the Oschersleben race track for a timed lap. To level the playing field we do a lap with a standing start from the main straight. 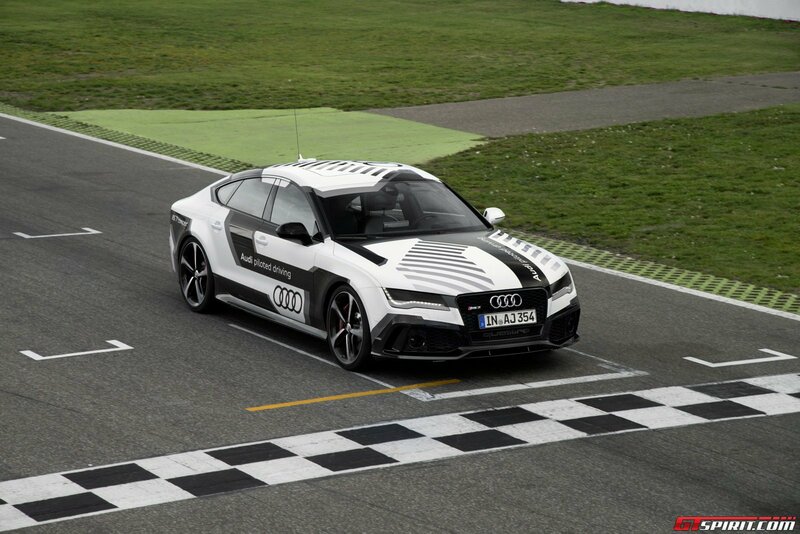 The circuit is flat and features a couple of nice S-corners, a chicane and a back straight where the autonomous RS7 will reach its top speed. 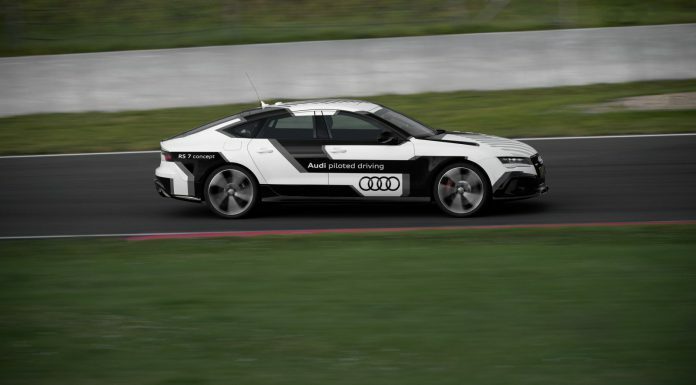 After a few warm-up laps we set our lap and immediately jump across in the Audi RS7 Piloted Driving Concept. The car is driven to the start line by one of Audi’s engineers and here is where the magic starts. An additional hidden switch in the center console where normally the cup holders are allows you to engage ‘Piloted Driving Mode’. After an automatic system check all lights show green and the RS7 sets off with equally brutal acceleration as when we were behind the wheel. It races down the main straight towards the first corner and brakes hard before turning in. The steering wheel swooshes to the left and back to the right. It is interesting to see how not only the steering but also the throttle and the brakes are constantly being adjusted and how it drives in a much smoother fashion than I would have imagined. Before getting inside the RS7 I was really excited about the experience. Now how do I feel after a lap as a passenger in a car that races itself around the race track? Well, surprisingly normal. Hardly a raised heart rate and no sense of fear of where the technology is taking us. The ride felt very safe and the car well balanced. 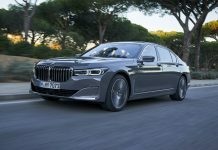 I was expecting to be more in some kind of shock but maybe the many thousands of kilometers I have driven with adaptive cruise control and lane assist have helped to built trust in this kind of technology. 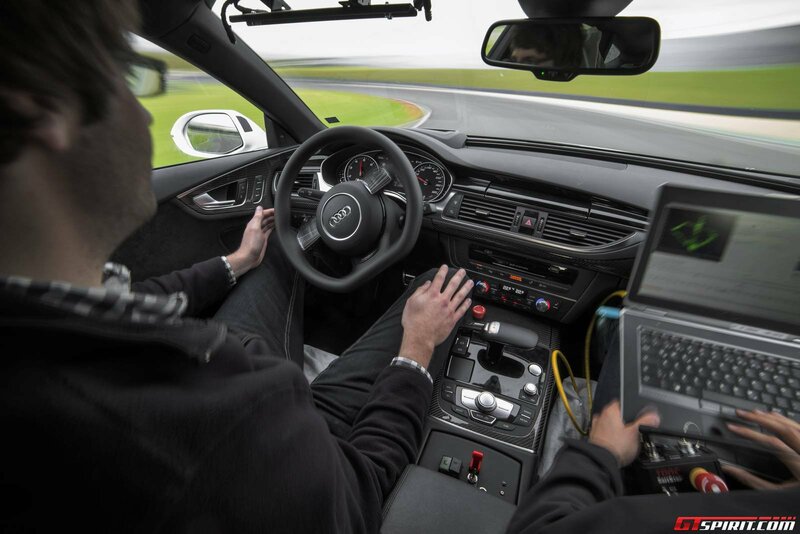 When we got in the passenger seat of the RS7 it was running at around 90% of its performance. Meaning it could accelerate even harder and brake later than it did during our lap. 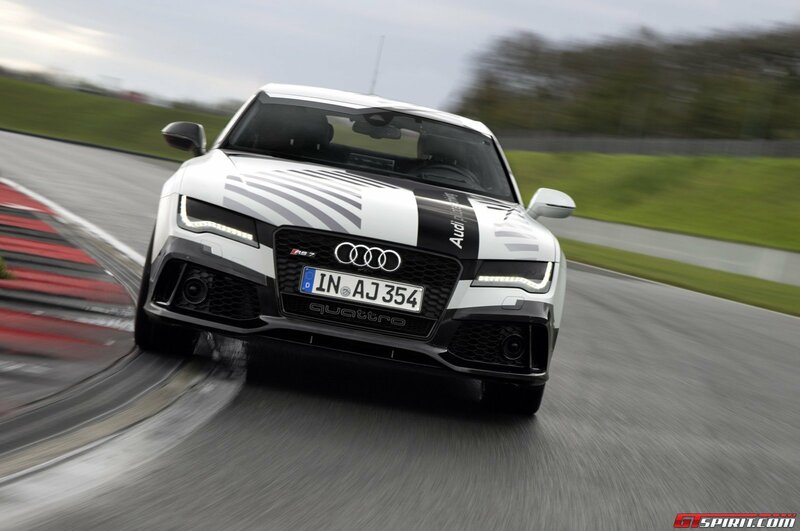 In comparison, we clocked a 1 minute 59 seconds lap where the Audi RS7 Piloted Driving Concept did it in 2 minute 1 seconds. 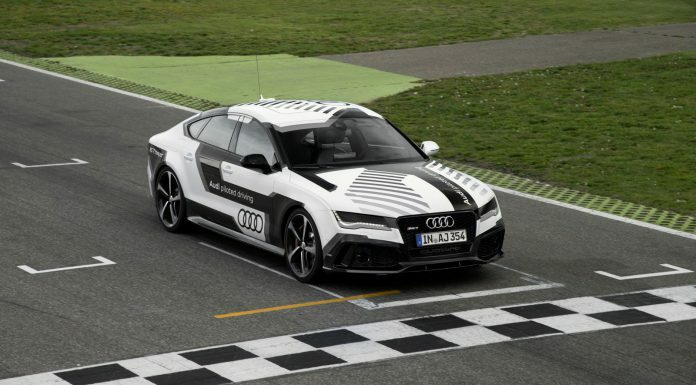 The self driving Audi was 2 seconds slower but incredibly close especially considering the RS7 Piloted Driving Concept was running at 90% performance. So how does it work exactly? Besides linking up a number of sensors the key part is learning the car the track. In essence the engineers put in the ideal line around the track for this car and the car will then try to stick to the ideal line as well as possible. 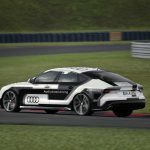 Learning a new track takes as little as 10 laps, after that the RS7 Piloted Driving Concept can run that track for an unlimited number of laps all by itself. Right now engineers are still responsible for adapting the system in case of changing track conditions (due to weather per example) and are manually adjusting the performance of the car. The future will see cars that adapt themselves based on weather conditions and their surroundings. 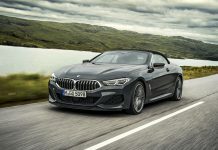 They can also become self-learning so that they improve lap times and ideal lines based on telemetry and experience in the same way a normal driver would. Technically this could lead to a Formule 1 without drivers behind the wheel. Very odd, but it is possible in a not to distant future. 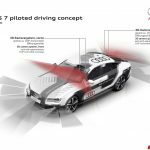 Audi insisted they do not plan to turn a concept like this into series production, but do foresee an increasing level of systems that will take over tasks from the driver. 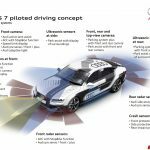 The first upcoming new system will allow cars to drive completely autonomously in traffic jams, an advanced version of current stop and go systems. There are still some challenges ahead though. 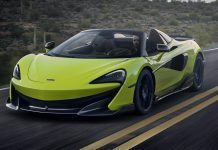 Racing around an empty race track on a pre-defined ideal line is one but letting it roam around freely through cities and on highways with only a GPS destination is another. 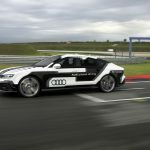 Major obstacles that are still to overcome are the public opinion, acceptance and awareness of autonomous cars, legal issues like liability for damages, software reliability, security and privacy concerns. 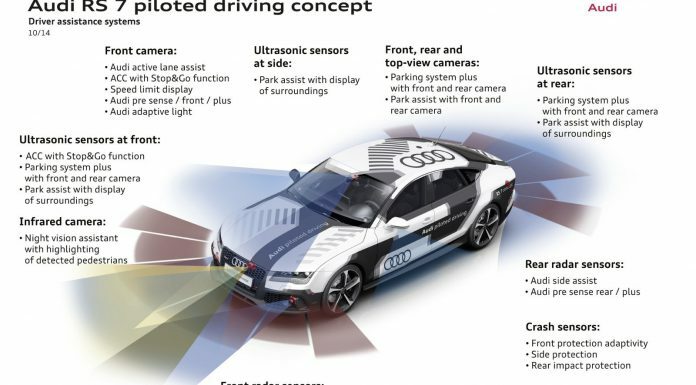 One thing is for sure though, that within the next decade or two many cars that leave the factory will have systems that allow for (a major degree of) autonomous / automated driving is without a doubt. 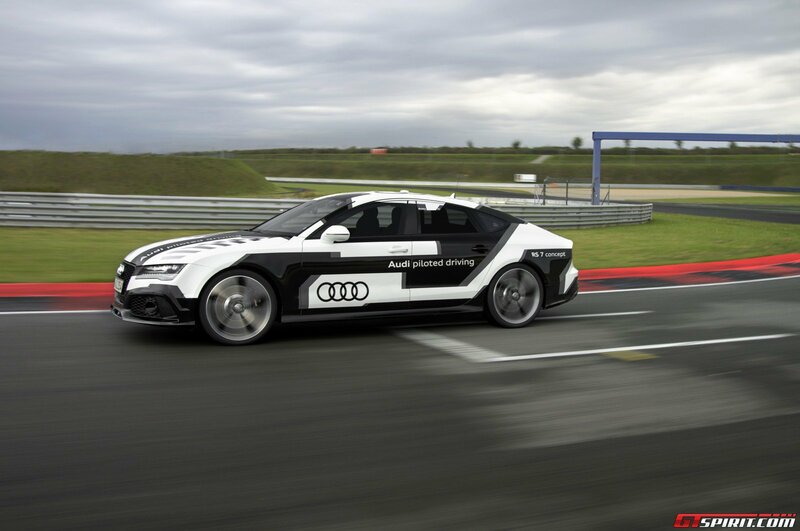 In 2014 you can safely sit in a car that races itself around a race track without any human intervention. 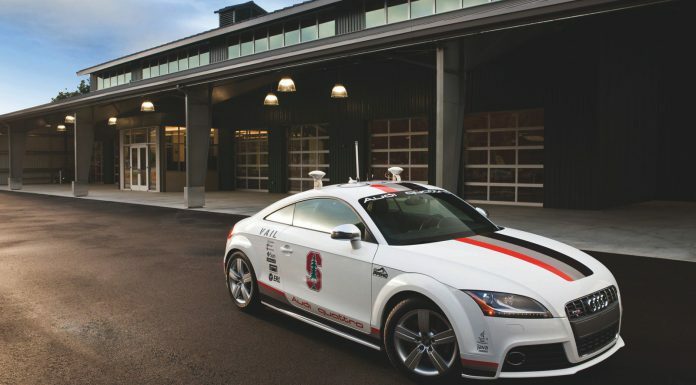 It marks a milestone that is just the beginning of an accelerated race to fully autonomous cars. 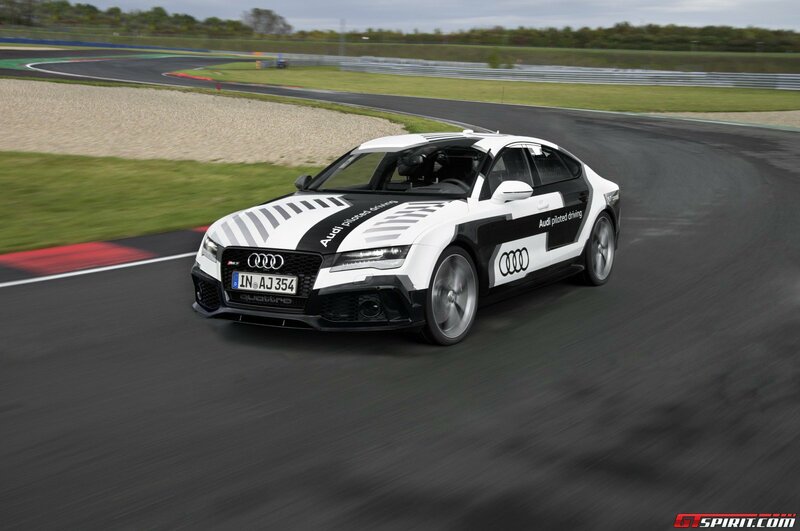 And despite our true love for driving we can’t wait to see autonomous driving unfold! 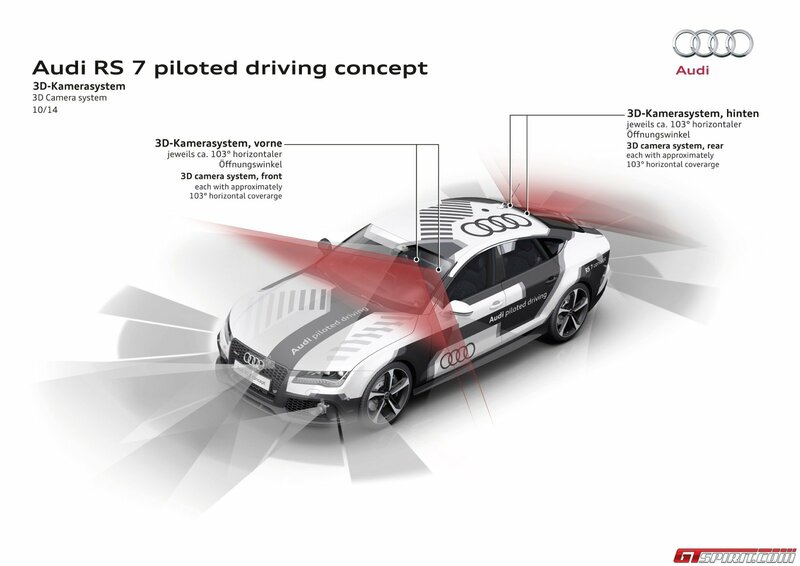 Special thanks to Audi and Jens Stratmann for the video!